Former governing Peoples Party (PP) has remained silent on recent media claims that Ken Kandodo has left the party for Malawi congress party (MCP). PP Publicist Ken Msonda in an interview with Malawi24 could neither confirm nor deny the development but only advised to wait for some time. “These are just rumours and unfounded allegations let us wait until we cross that bridge” said Msonda. He further said they are not surprised with people who joined the party during PP’s two years administration rejoining their former parties since it is not only a sin but also exercising their constitutional right to freedom of association. “PP accommodated members from other political parties during our two years administration for national building to bail out our country then from economic, social and political meltdown” he added. He said their only aim was to work together with people who matter in Malawian politics to help them in achieving the party’s goal and turned out to be successful. Meanwhile there are reports that Kandodo will be unveiled today at Mtunthama ground in Kasungu by MCP leader Lazarous Chakwera. 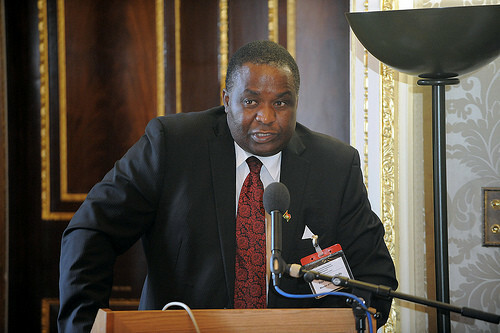 MCP making same mistake PP made of entertaining prostitutes, dont they knw this weakens the party? Ma comenti anuwo ndi aboza ine ndinamva kuchokera kwa bwana BJ kuti andalewa whenevr they are reacting to certain situation do nt blame them coz to them politics z their office,they earn a living through that.eee ndale ndi ntchito mukufuna azisafara! Wawona msanga kuti PP ndi madeya ampunga amangotenthedwa basi. MCP 2019 BOMA!!!! Inu nanga munthu wamzeru zake angamatsalire ku pp mkumataniko nanu? kkkkkkk ngati mwini anayambisayo adathawa? kaja kanali kagulu chabe ka anthu okuba. Mmmmm kodi kagulu ka pp kalipo? Ngakhale mai Kalilani ngati moyo ulipo adzakwela MCP. Same time s nt good so it mean is looking kwacha or what ask tham? Zoti Ken Kandodo ndi wa Mcp sizachilendo.